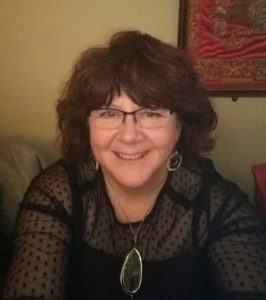 Rosemary Williams is a UK trained massage therapist and aromatherapist. She is also a senior nurse with a Master’s degree in Pain Management. Rosie offers Aromatherapy, Indian head massage and Swedish massage from her beautiful cottage on Heir island. She also teaches small groups how to perform Indian head massage on their family and loved ones. A novel idea for a birthday celebration or small hen party! For further information please visit her website . You’ll also find her on Facebook. For bookings, telephone 0861963465 or email heirislandholistics@gmail.com. The peaceful, restorative powers of the island create a perfect environment in which to attend a yoga or meditation retreat. Every year the island hosts a number of different yoga and meditation teachers who run weekend and week-long retreats along different themes. As people leave their cars on the mainland and step onto the ferry, they can begin to soak up the peace and wildness of this magical place. In addition to the classes, the combination of the sea air, walks on the beach, kayaking the wild open beauty of Roaringwater Bay, the company of island cows and healthy doses of laughter, create a uniquely healing experience. Retreats generally take place at Heir Island Retreat, and when the weather suits outside overlooking the bay. Accommodation is provided in island cottages. For news on upcoming yoga classes and meditation retreats, please visit the websites of the following instructors.